Rogues Gallery Comics and Border City Comics have joined forces with the Goodfellows again this year to help make needy children happy at Christmas time. Shawn Cousineau, owner and proprietor of Rogues, says his goal is to make sure every Goodfellows box given out this year contains a comic book for each child in the family. Last year, when he decided to donate a comic to every child in need, he figured he would need several hundred books. When he contacted Goodfellows he was surprised to find out he would need 5000. Cousineau rallied the geeks and started up a comic book drive. Cousineau and friends of the community were able to collect 6000 comic books from various sources. This year’s goal is 7000. The drive started Nov. 13 and runs until Dec. 13. 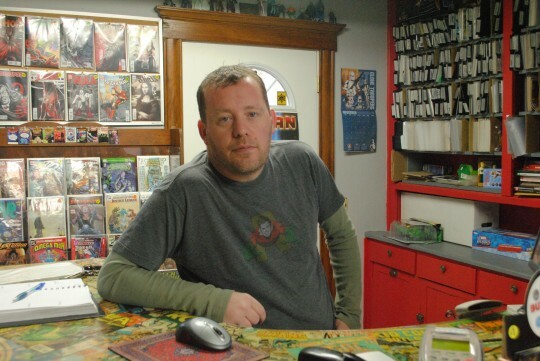 According to Cousineau, they have collected a little over a quarter of the comic books needed at his store. Not willing to give up any of your collection. No worries. A $5 dollar donation will buy 25 comics from Rogues upstairs gallery which goes straight into the Goodfellows boxes. 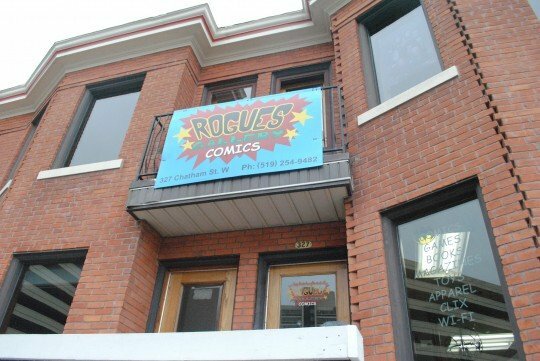 Rogues Gallery is located at 327 Chatham St. West across from the new bus station and is open seven days a week noon till 8p.m. So drop by and share the geek love!